Like a little Ray of warm Sunshine! 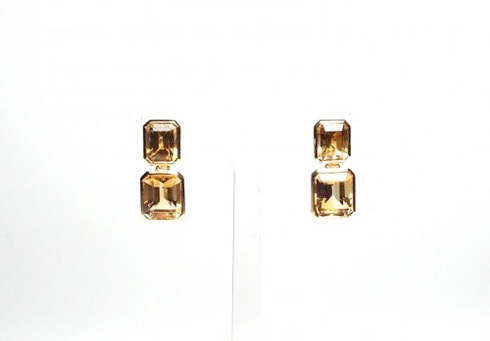 The emerald cut stones are frame set in 9ct yellow gold and light can enter the stones from all sides. The larger stones are attached flexibly to the smaller stones and sparkle with movement. The earrings are light in weight and are very easy to wear with a secure butterfly fastening. Material: Citrine and 9ct yellow gold.